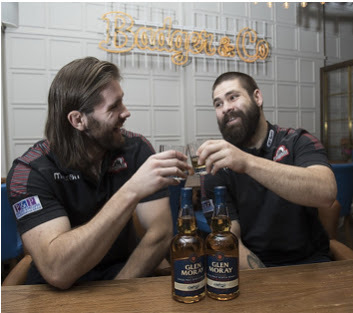 Glen Moray Distillery, has today announced its new official partnership with Scotland’s capital rugby club, Edinburgh Rugby. The Elgin based distillery, which celebrated its 120th anniversary in 2017, will be the official whisky partner of Edinburgh Rugby for the next three years. Glen Moray branding will now be visible on Edinburgh players’ shorts, with their range of single malt whiskies available at home games.